With advancements in technology, many surgeries can be performed on an outpatient basis, which often means shorter recovery times and less stress. 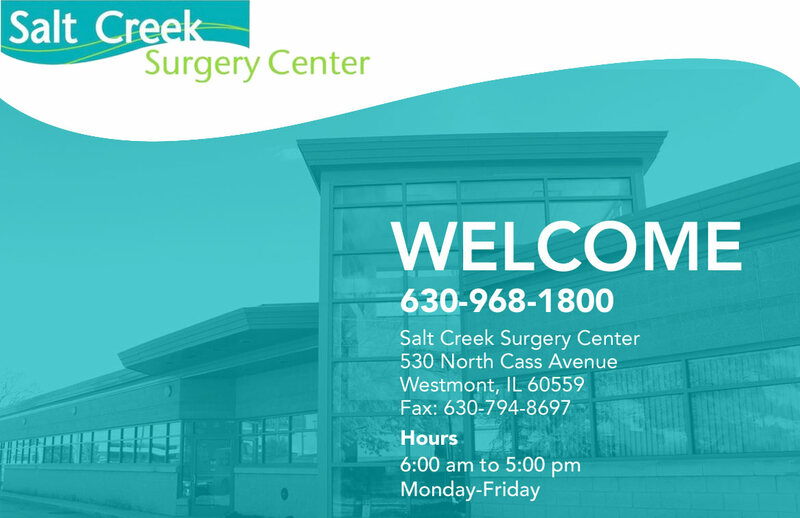 Salt Creek Surgery Center (SCSC) was built to provide you and your family with the most personal attention and innovative surgical care from consultation to procedure and recovery. Technology and training are at the forefront of care at SCSC. Physicians and staff continuously receive training on new state-of-the-art technology and the latest advanced procedures in order to provide you with the best options for your surgical needs in this multi-specialty outpatient facility. The surgical center staff is outstanding, and strives to ensure your experience is excellent. Our surgeons have impeccable credentials and unparalleled expertise and work alongside the highest caliber anesthesiologists. The nursing staff at the surgical center is genuine, caring and highly knowledgeable in their field; to provide you assurance that you are in well-qualified hands. Plus, all licensed clinical staff in the pre-operative and post-operative units are certified in advanced cardiovascular life support for adults and children, keeping your safety in focus at all times.